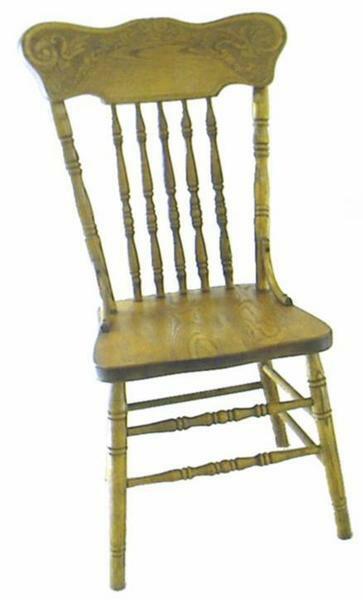 This Press Back Dining Chair has the look of an antique press back chair however is is Amish handcrafted for each customer to order in oak wood. You can choose to finish to complete the look of your new kitchen chairs. These oak wood chairs are perfect for a country kitchen or dining room. Call today to get an order started for your personalized press back dining chairs. Our Amish furniture specialists are happy to help in any way that they can.